Perfect for temperate weekend days year ‘round, this original G-9 jacket or Herrington, as it is sometimes called, is made by Grenfell in England, and lined with its signature house poplin. The cut of the body is full and comfortable, as well suited to a game of golf as to a weekend in town. This year we are delighted to add two colors along with the previously offered natural shade: a true navy blue, and a deep burgundy. 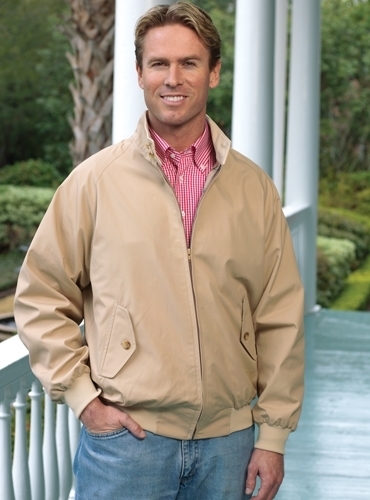 The jackets feature buttoned side pockets, banded waist and sleeves, two-button throatlatch, full sturdy zipper, high straight collar, and plaid lining. Available in even sizes 40–48, as well as size 39. 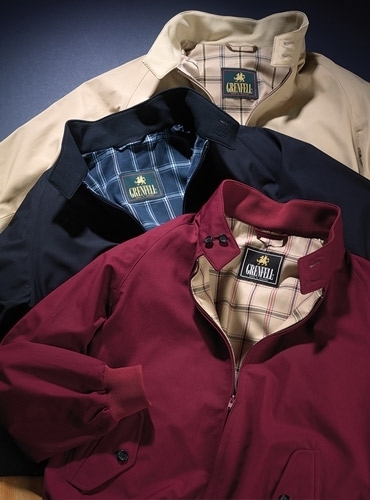 Available in three classic hues: GJKT-tan; GJKTB-navy; GJKT2-burgundy.